Monita Rajpal is an anchor and correspondent for CNN International, based at the networks Asia Pacific headquarters in Hong Kong. Each weekday, she hosts the live news program CNN NewsCenter which delivers a fast-paced and engaging summary of all the key global headlines as they develop. She is also the host of CNNs Talk Asia, the networks monthly flagship half-hour program that features in-depth interviews with leading global figures from the arts, politics, sports and business. To date on Talk Asia Rajpal has interviewed sports stars Roger Federer and Jeremy Lin, Heads of State including Nigerias Goodluck Jonathan, business moguls such as Topshops Sir Philip Green and Fortescue Metals Andrew Forrest, Hollywood heavyweights Baz Luhrmann, Vin Diesel and Hilary Swank, and musicians including Billy Corgan, Pharrell Williams and Julio Iglesias. Prior to relocating to Hong Kong in late 2012, Rajpal was co-anchor of CNNs World One based in London. Rajpal has been with CNN for more than a decade, anchoring multiple primetime news shows and reporting from locations across the globe on stories including the Death of Pope John Paul II, the London bombings in 2005, the Asian Tsunami and the death of Palestinian leader Yasser Arafat. Rajpal has also interviewed some of the biggest names in international politics including former Russian President Mikhail Gorbachev, former U.S. Vice President Al Gore and the late Pakistani Prime Minister Benazir Bhutto. Additionally, Rajpal has hosted CNNs special series on the luxury industry and art and culture shows across the network, featuring interviews with innovators and influencers as diverse as fashion designers Tom Ford and Donatella Versace, musicians Lady Gaga and Bob Geldof and the CEOs of leading luxury conglomerates including Bernard Arnault of LVMH and Francois-Henri Pinault of Kering. 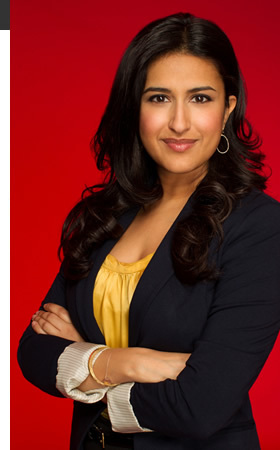 Rajpal joined CNN from Citytv in Toronto where she was a general assignment reporter and anchor. In addition to her work at Citytv, Rajpal anchored the prime-time news show at Cable Pulse 24, Citytv's 24-hour news channel. Rajpal was born in Hong Kong and spent much of her childhood in the city before moving to Canada. In addition to English, she speaks conversational Cantonese, French and Punjabi.